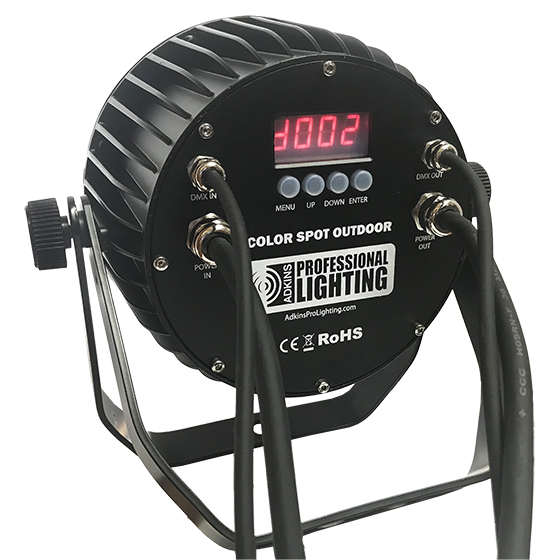 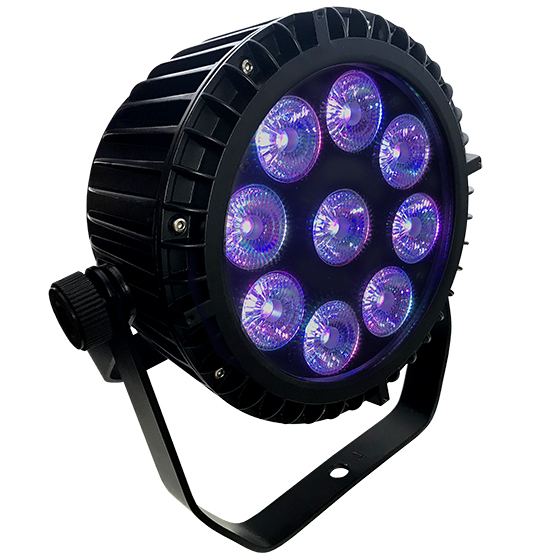 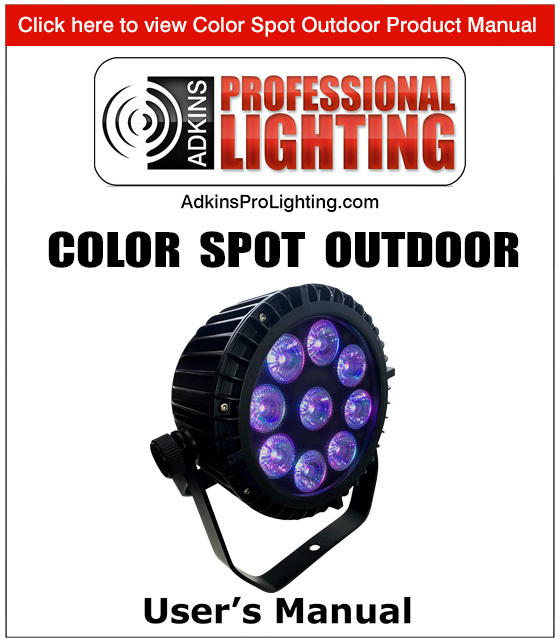 The Color Spot Outdoor is a heavy duty, super bright, metal IP65 outdoor rated LED par that offers superior color mixing thanks to its intense calibrated 9*18 watt, high power 6-in-1 RGBAW+UV LEDs. 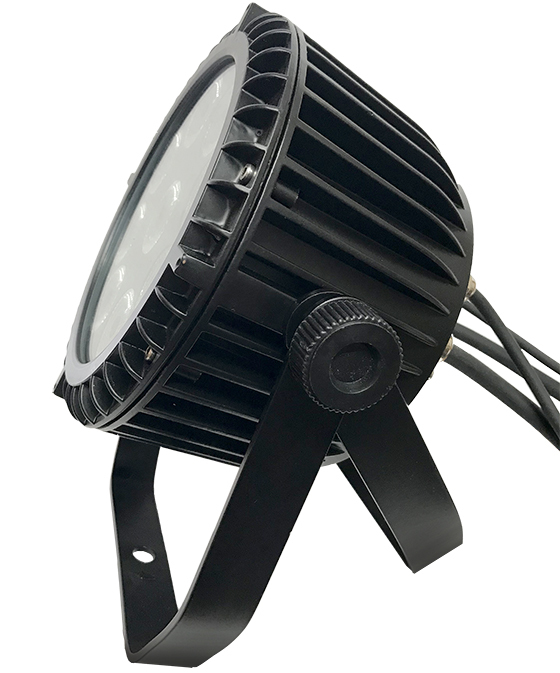 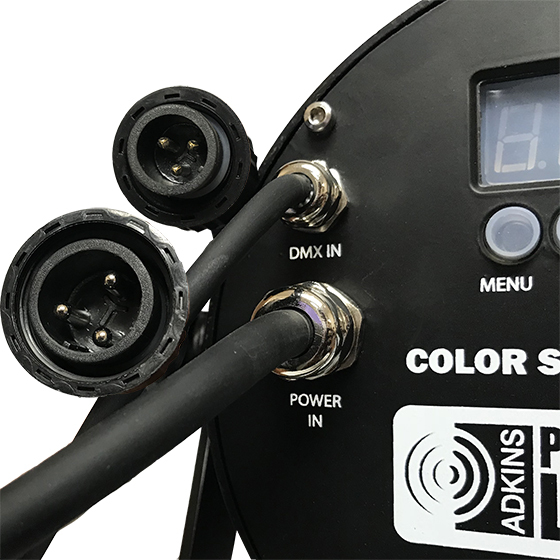 The best color mixing available today is achieved by incorporating a Red, Green, Blue, Amber, White and Ultraviolet LED chip behind a single lens of each of the 9 LEDs eliminating multicolored shadows. 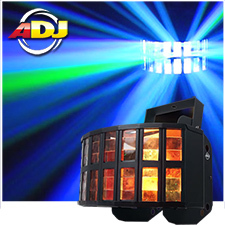 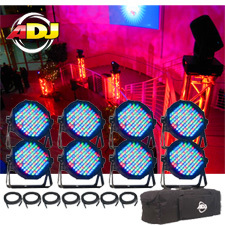 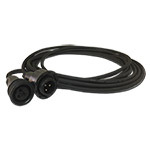 This fixture can be controlled by any DMX controller the 6 or 10 channel mode. 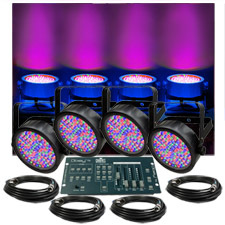 It also has the ability to run a slew of built-in programs and perform full RGBAW color mixing without a controller. 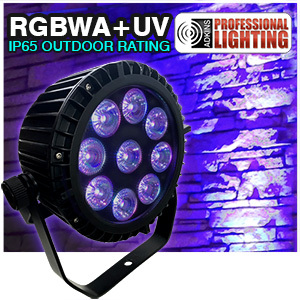 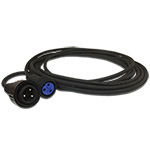 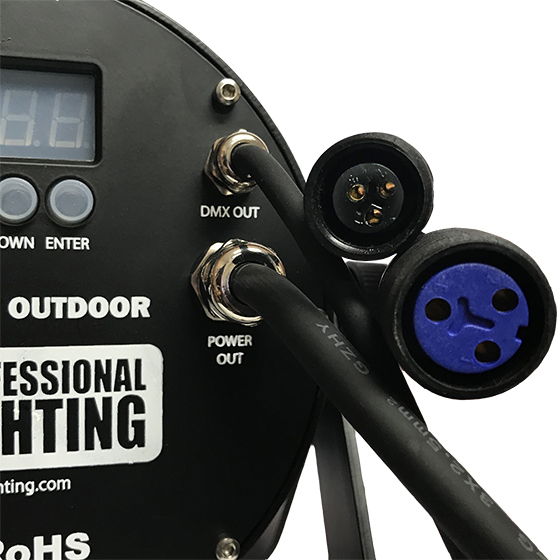 This outdoor rated workhorse is an ideal light for outdoor architectural work and installs.